Despite being sick and stuck in bed for pretty much all of Friday, the weekend turned out to not be so bad. I even managed to start a top secret project (to be revealed in September). My favorite thing about the weekend is that book you see above: The Needlecraft Encyclopedia. It was one of the few books we managed to save at my grandma’s house while moving her, and it made its way to my house on Sunday. 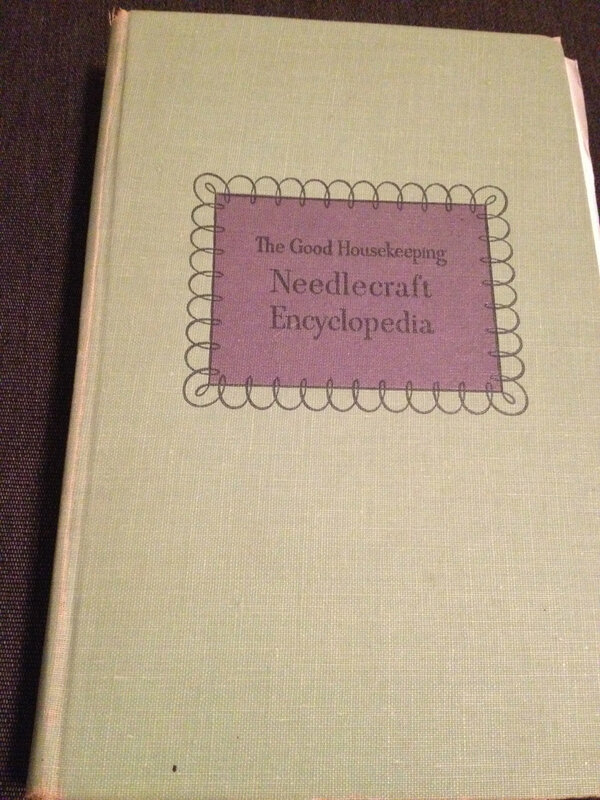 Published in 1947, it is filled to the brim with pretty much any kind of needlecraft you can think of, including tatting. I’m excited to try some of the projects out sometime. On Saturday, my husband and I went to see Paranorman. It was such a fun movie, and I got quite a bit of work done on the body of husband’s sweater as we watched. I will say about the movie (not that I’m trying to tell you one way or another what to do) that there is one bit with bad language, so it may not be the best for little little kids. That being said, though, there was an adorable kid probably about 4-5 years old who had the best time watching that movie. And we loved it.